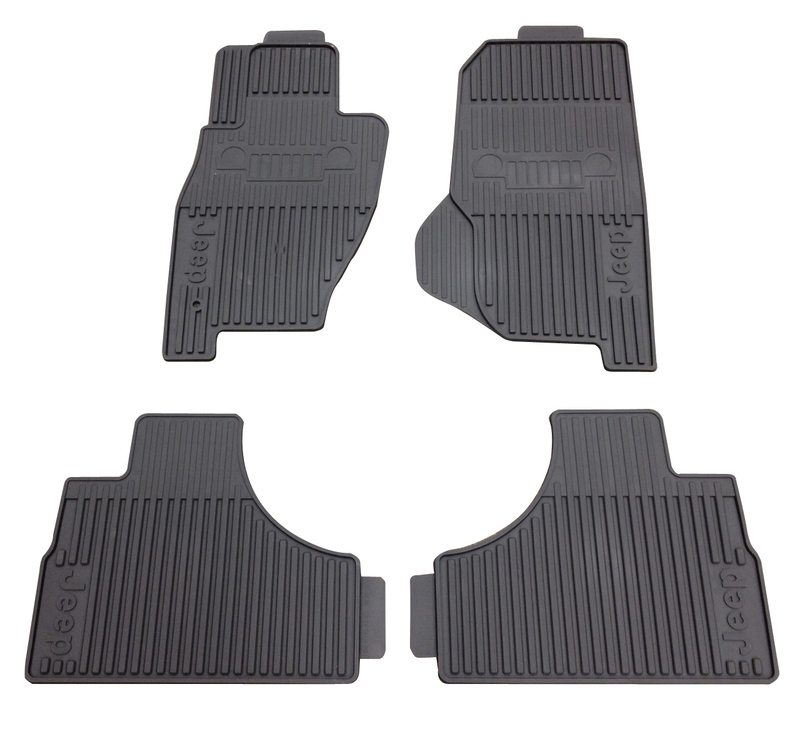 Slush-style Floor Mats for the Jeep Liberty are molded in color and feature deep ribs to trap and hold water, snow and mud to protect your carpet and keep it clean. A must during inclement weather, Slush Mats work great in all seasons. Mats were a perfect fit and look like they will hold some sand and mud despite the low sides. Got my new slush mats a day before scheduled and I love them! Great price and kept me updated on my order. Will definitely use just for Jeep's again. These floor mats fit my 2003 Liberty perfectly! Best of all, I placed the order on line and it arrived at my door within a day or two - much faster than projected. I am very satisfied with the mats. They fit perectly and have already proved their worth in the recent storm. Excellent service as well. Received exactly what I ordered. They fit great and match my 2002 Jeep Liberty perfectly. There are definitely better products on the market. But nothing that looks as good as an original Jeep mat. This will do just fine in rain and snow as long as you clean them off every so often. And the fit is perfect. I recommend if you want everything to stay original. ProsOringinal OEM look. Jeep logo. All weather mats with deep ribs to contain water and snow. ConsPotential for spillage if you don't shake them off in heavy snow. The sides don't have a lip for overflow. Heavy duty, look good, and add good "Jeep" touch.